Luck is hugely underrated in bird photography. We had just finished a morning trip in Chopta and had come back to grab some breakfast before we head out again. As we were sitting down we noticed some activity below and all of us rushed to see a couple of goldfinches, mistle thrushes, rock buntings and winter wrens. 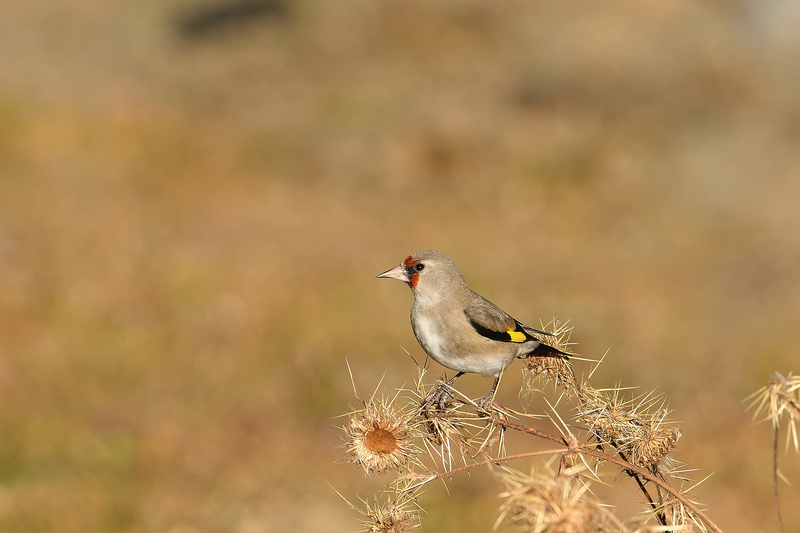 The goldfinch was the first that I focussed on – how can something so startlingly beautiful be overlooked. We gave them enough time to get comfortable with us and were rewarded with some nice images.